The famous napkin, courtesy of Providence Preservation Society. Click to enlarge. 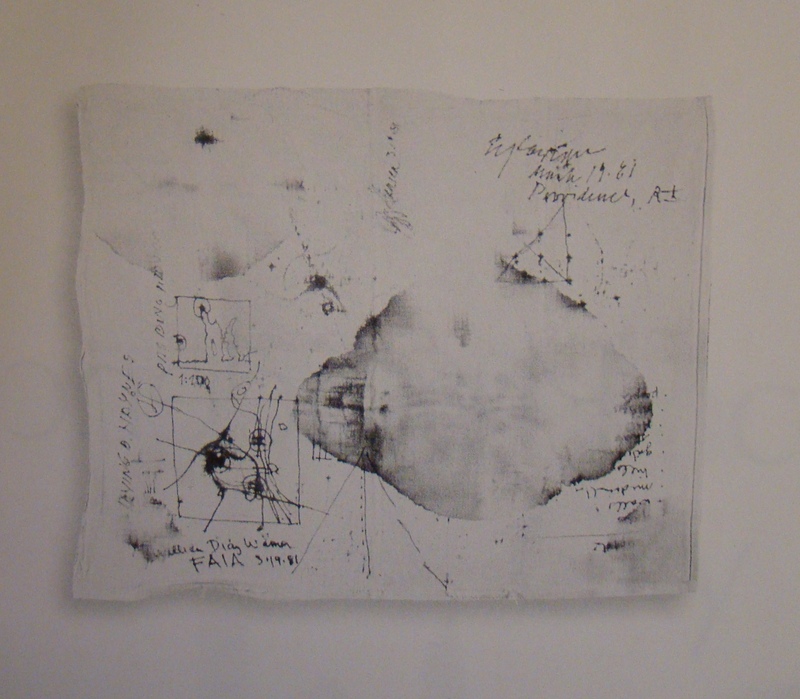 See above an image of the famous napkin on which the river relocation project was sketched. Courtesy of the Providence Preservation Society from the book Providence, The Renaissance City by Fran Leazes and Mark Motte. Also, visit YouTube to see a video of Friedrich St. Florian speaking about Bill Warner at last year’s PPS symposium. I’m away from my computer and attempting to post from my phone for the first time. I thought it was important to note the passing of architect William Warner. As I don’t have the opportunity to write something myself at the moment, below is the press release from the Mayor. I am saddened to learn that William D. Warner has passed. Mr. Warner re-imagined Providence and helped redesign the city we all love. Mr. Warner transformed our downtown and preserved Providence’s historic communities. He literally moved rivers and highways to make our Capital City a more livable and enjoyable place for residents and visitors alike. Our city has always been strengthened by the creative capital of our residents, and Mr. Warner was without question one of the pioneers of our creative economy. He certainly deserves more credit than he got outside urbanist circles. I heard him speak and found listening a deeply thought-provoking experience. I have heard credited to him at least the sentiment, if not the quote, “A city that loses touch with its rivers loses its soul”, which I believe was the driving design principle behind Providence’s regeneration. A Warner-directed 1984 study formed the basis for the waterfront renaissance, including the 1987 project that relocated the Moshassuck and Woonasquatucket rivers to create a new downtown confluence with the Providence River. The architect’s Waterplace Park forms the geographic center of the city’s renaissance. Completed in 1996, the rivers project earned Warner Architects and Planners a 1997 National Endowment for the Arts Presidential Federal Design Achievement Award. For those who don’t know, Mr. Warner is perhaps most famous for being amongst those around the table at a local bar who drew out on a napkin, the plan for the river relocation project that resulted in today’s Waterplace Park. Pretty important in the history of the city I’d say. Jef, I read that napkin story somewhere a long time ago (the Journal maybe?) and if I remember correctly, the napkin drawings were going to be left behind, and Warner was the one who had the presence of mind to take them when he left. The whole thing could be Urban Myth (literally!) but it’s still a good story.